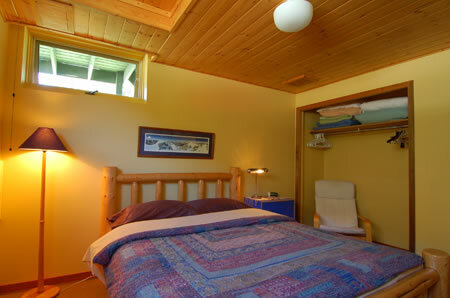 The Bear's Den Guesthouse has a private outside entrance located on the ground floor, with no steps to negotiate. 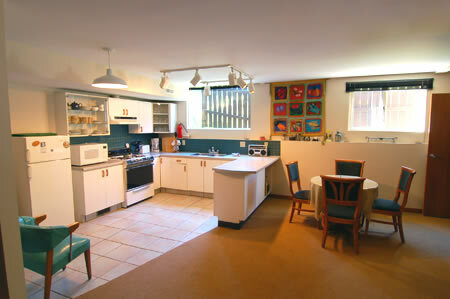 Full kitchen equipped with microwave, stove, fridge and all the cooking utensils you would use. Large living area, over 900 sq. feet comfortably fits up to 6 people. 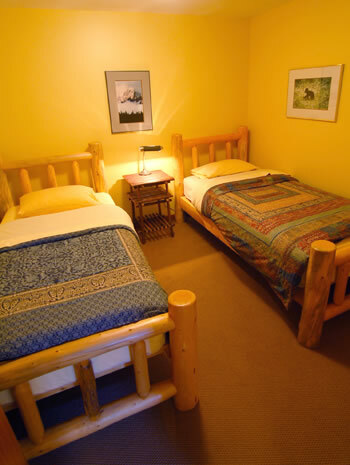 Two bedrooms, master with one queen size log bed, the second room with two extra-long twin beds. Living room is equipped with TV and cablevision, VCR with a wide assortment of videos and a library of books on the area. Bathroom has a bathtub as well as a shower. No smoking or pets allowed. German spoken. Established since 1996. Bright and sunny with lots of light. 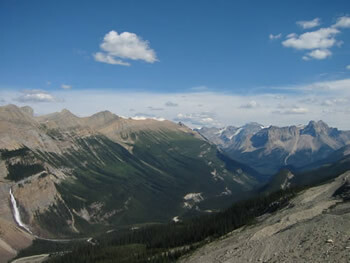 Yoho Valley - An example of the beautiful landscape to discover in Yoho National Park. Goodbye Lorraine! Thank you so much for the hospitality. You have a beautiful place here! We enjoyed meeting you & some of the friendly people of Field. The Canadian Rockies were more spectacular than we could have imagined. We will recommend your guest house to friends that might be vacationing here in the future. The Bear's Den was very cozy after a long day. Thank you for the wonderful accommodation at the Bear's Den. This morning we had an elk eating the flowers out of your front garden which made for a great start to a beautiful day! 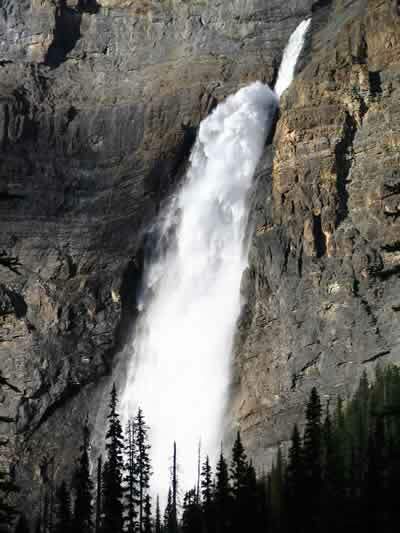 Takakkaw Falls in Yoho Valley.